Optimum service is the result of competence and sincerity. A multi-disciplinary medical building allowing for easier referrals for all your health needs. At the Foot And Ankle Wellness Centre, our priority is to deliver quality foot and ankle care to informed patients in a comfortable and convenient setting. A vital foundation is established upon your first visit to the Foot and Ankle Wellness Centre. Our front-of-office staff will obtain background information from you, including your medical history. Upon your first consultation, you will be given adequate amount of time to get to know your Edmonton podiatrist to thoroughly understand your options. The priority of Foot and Ankle Wellness Centre is to assist and educate our patients with their foot and ankle care. We place a high importance on quality, comfort, and convenience so that you may have the best experience possible. 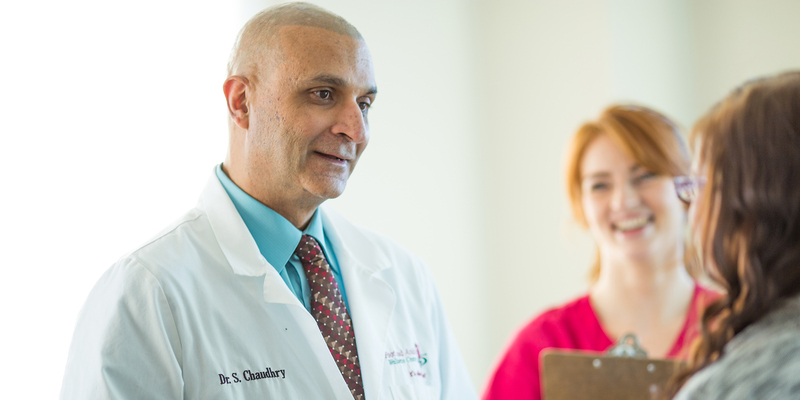 A short video from Dr. S. Chaudhry introducing the clinic. Professionally trained, experienced, and well-versed in the field of podiatry. Can diagnose and properly treat your podiatric needs. Counsels on the most effective way to maintain and improve your health. It is important for the Foot and Ankle Wellness Centre to properly inform their patients about the issues that they may be be experiencing with their feet and/or ankles. In doing so, patients are more prepared to make decisions about their own health and wellbeing. The Foot and Ankle Wellness Centre values comfort for our patients. We understand that going to the foot doctor can be a daunting and sometimes unnerving experience, so we want to be able to ease any worries and treat you with the utmost care! We want you to know that our doors are always open to you and that no problem is too big or too small for this Edmonton foot doctor.